Newsflash: The holiday season is upon us—if you couldn’t already tell from the the glittering decorations, Christmas music and the seasonal latte menu at Starbucks. All cynicism aside, there’s no place I’d rather be this time of year than in London, the capital of Britain and of Christmas spirit. Here, smells of stewing hot wine warm up the crisp air. Lights, garlands and oversize ornaments transform central London, and you can’t help giving into that festive feeling … you know the way you felt at the end of “Love Actually” when the kid runs through the airport to tell the girl he loves her? It feels like that. Right now London is infused with so much holiday spirit that even Dickens would say, “Whoa, guys, I get it—it’s Christmas.” So here’s a quick run-down of how to bombard yourself with a heavy dose of the season as well as some advice for how to best experience the city on Christmas day. To get punched in the face with Christmas by way of capitalism, head to the Regent Street, Oxford Street, Carnaby Street trifecta. Many locals advise against visiting the trifecta for fear of stampedes of stressed-out shoppers, but it is the epicenter of Christmas shopping in London and a little chaos among the people can’t hurt you—but the contents of your wallet are another story. There is a very specific energy coursing through the streets at this time of year. And when the crowds get to be too much, here’s a little secret: If you’re walking down Oxford Street in the Marble Arch direction, there’s a small alleyway that will take you to Saint Christophers Place. A little enclave of shops and restaurants, the piazza is like a little hideaway from the Oxford Street madness. From here, you can enjoy the buzzing lights and decorations without the hoards of people. You can also access staple shops such as Debenhams, House of Fraser and Selfridges via their back entrances. Piccadilly Market—an arts and crafts market in the courtyard at St James's Piccadilly—is a smaller venue where you can get your fill of the Christmas spirit and not just because it’s located in a church. The market stalls change with food being the main focus on Monday, antiques on Tuesday and arts and crafts Wednesday through Saturday. During Christmastime, the market is busy with people looking for the perfect quirky gift, and some stalls offer specifically delicious Christmas treats. Just look at all this holiday wonder! It's like stepping into a 1950s Christmas movie if it was set in 18th century Bavaria. 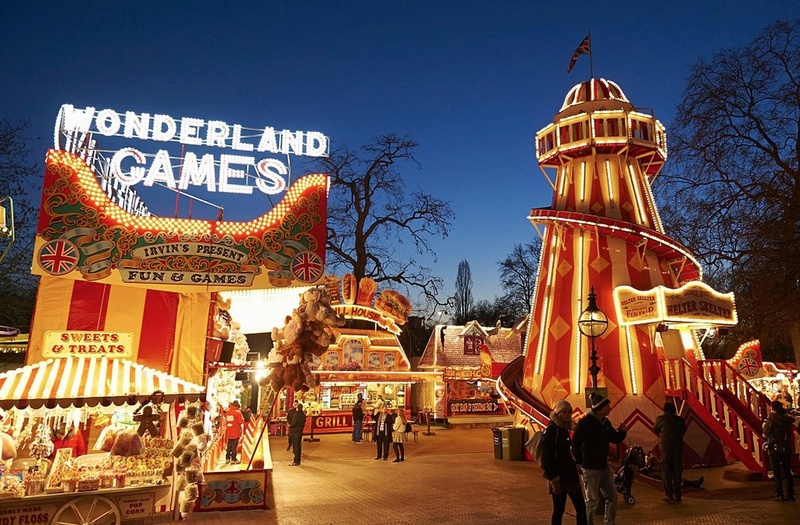 To further immerse yourself in the spirit of the season, head to Hyde Park Winter Wonderland. Running until Jan. 3, the Winter Wonderland is a huge Christmas-themed attraction featuring everything from a daytime circus to a Bavarian Village, complete with beer gardens. Though entry to the site is free, there are attractions you need pay for including ice skating, the magical ice kingdom (an entire kingdom made of ice including, ice dragons and a castle), a giant Ferris wheel and one more thing made entirely out of ice: a bar … because well, Britain. These attractions all require tickets and tend to sell out on weekends and evenings, so be sure book as early as possible. 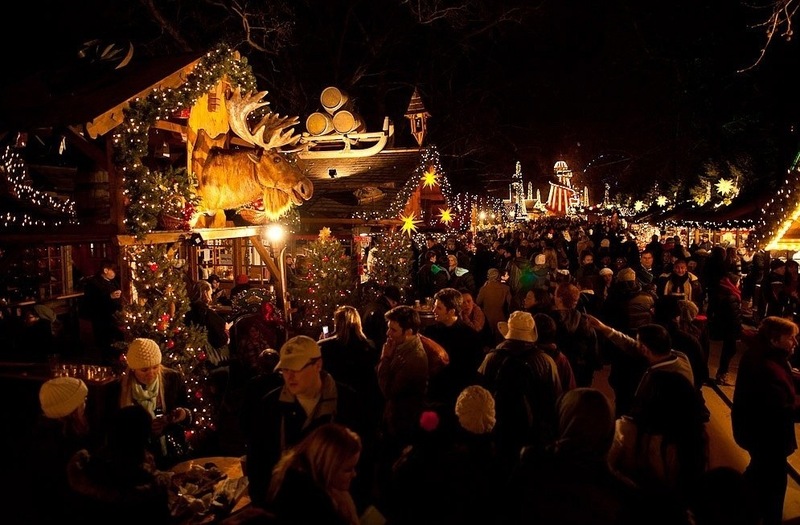 At its Bavarian-inspired Christmas market, you’ll find stalls as far as the eye can see filled with decorations, handicrafts, clothes, accessories and other holiday-related tschotskes. And if you find yourself feeling cold or in need of something to take the edge off (it’s stressful finding the perfect gift), there’s warming boozy drinks. Hot mulled cider and wine will surely help you feel all warm and fuzzy inside (because you’ll be drunk). With nine dedicated restaurants, bars and even more stalls filled with food and drink, there’s certainly something delicious no matter where you turn. 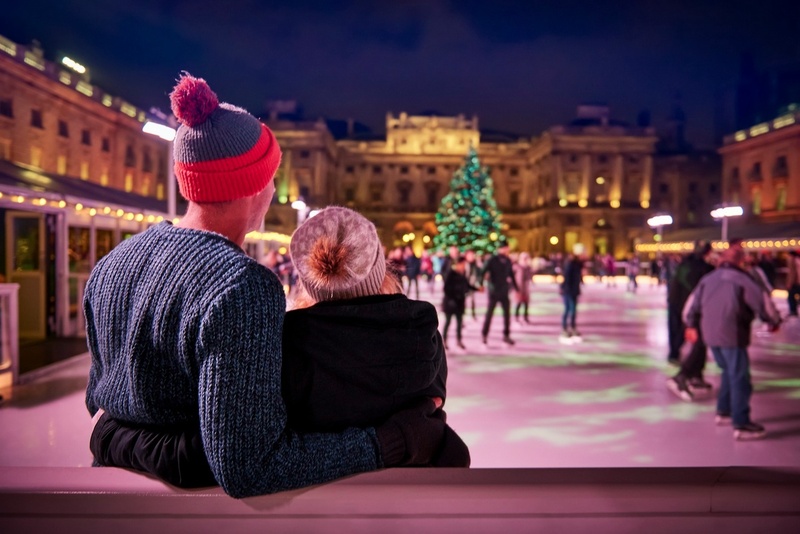 There's nothing more romantic than a Christmastime ice rink. Pretend you're in any romantic comedy that Meg Ryan is in and just go nuts. Then warm up at Fortnum's Lounge with dairyrific delicacies and warm drinks. In London, Christmas and pop-ups go hand and hand. At the Southbank Centre there are a whole host of ways to celebrate the winter holidays. For those of you who want to skate without the cold, head to the Bump Roller Disco, an alternative to the classic winter activity of ice skating. Look for pop-up showcases by choral groups and musicians outside the main building, and for refreshments, head to the Rekorderlig Cider Lodge. The bar features winter drinks and Scandinavian street food in a two-story re-creation of a typical Scandinavian house. And for those of you who want the Christmas market experience without the overwhelming addition of carnival rides, Southbank Centre offers a winter market too. Its wooden chalets line the River Thames with treats and offerings, similar to ones found at Winter Wonderland but with a much better view for Somerset House lies across the river. 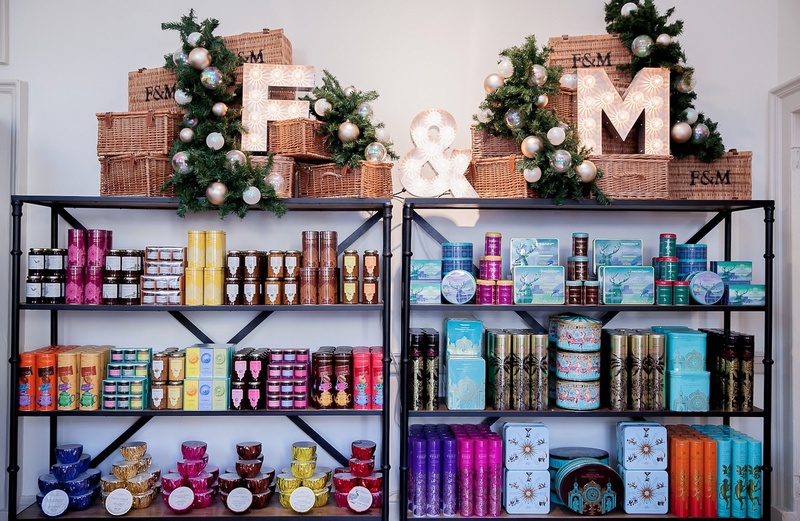 And speaking of Somerset House, the always classy Fortnum & Mason is presenting a pop-up Christmas arcade at the arts and culture complex selling gifts, a selection of their famous coffees, teas and biscuits as well as fresh food from their shop on Piccadilly Road. The department store is also popping-up with Fortnum’s Lodge, a café serving comforting and dairy-rific delights such as fondue and Welsh rarebit (strong-flavored cheese melted on toast). 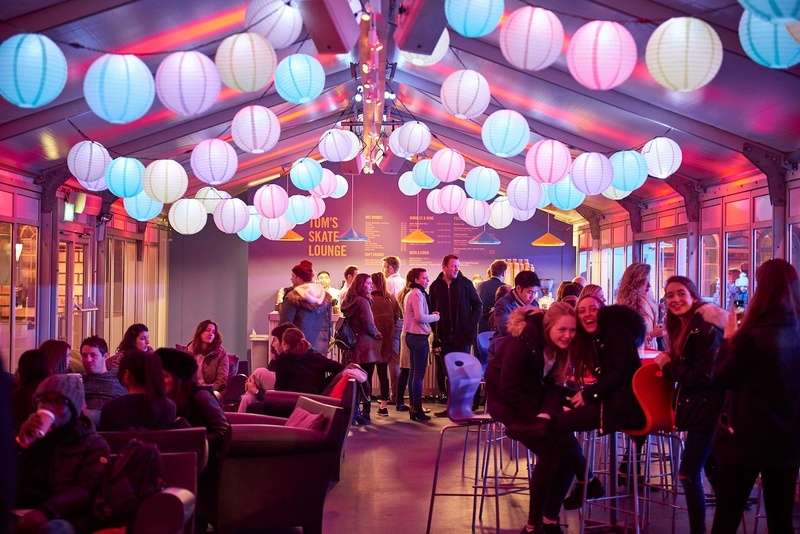 On the boozier side, Fortnum’s Lodge will offer cocktails, hot-mulled cider and a cheeky (AKA boozy) hot chocolate to help warm up shoppers and visitors to the site’s ever popular ice skating rink. 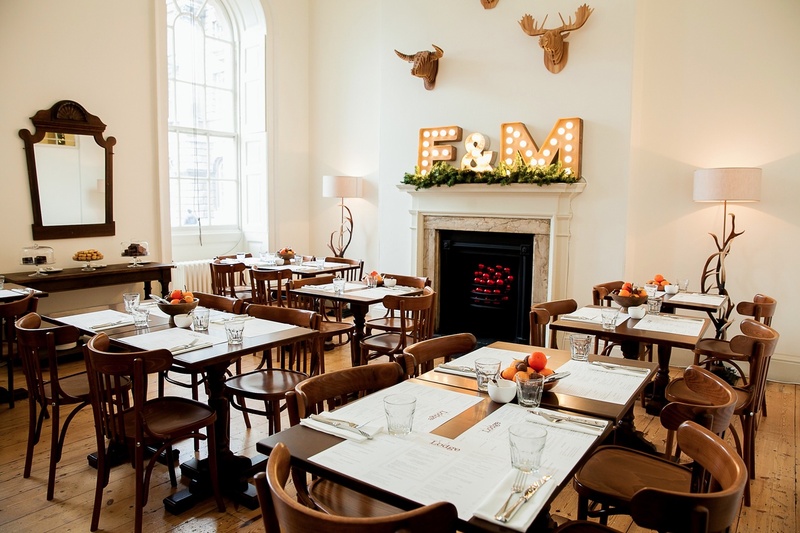 Celebrate Christmas in London the pop up way at Fortnum's Lodge inside Somerset House. And while you're there, pick up some gifts at the Christmas Arcade for all those folks you've left back home. Nothing says Merry Christmas like a tin full of biscuits. On Christmas Day, a huge percentage of people disappear (shopping done and Winter Wonderlanded-out) to visit their families in the countryside. For those who stay, there is no public transport on Christmas day, creating a unique quietness one day of the year. So as a visitor to the city, staying somewhere in Central London and a willingness to walk are both essential to enjoying the holiday. But considering the calorific delights that beckon, your body will thank you for the exercise. Even though most establishments are closed on Christmas Day, several pubs and restaurants are open for traditional Christmas lunch. Christmas lunch is a huge deal in Britain. It’s like what Thanksgiving is to Americans—with turkey (or goose), stuffing and cranberry sauce—but be prepared for mince pies to take the place of apple pies. Be King and Queen for a day with a full Christmas meal including crackers filled with toys and paper crowns at the The Arch Boutique Hotel. 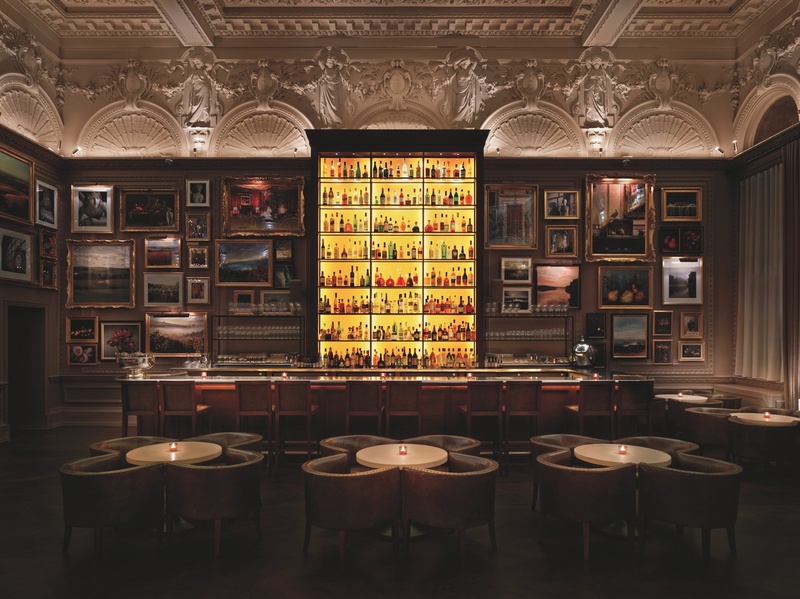 Under the direction of Michelin starred Chef Jason Atherton, the contemporary British Berners Tavern will present an extravagant six course Christmas blow out. If that doesn't lure you in, maybe the fact that it won GQ's Best Restaurant Interrior for 2015 will intice you. Talk about Christmasing in style. There are a number of places across the British capital to enjoy the traditional meal, but advance bookings are critical. Many hotel restaurants will be open for celebrations, and it is incredibly common for a Christmas day meal to be a set three-to-six-course menu at not-so-cheap prices. At the always fabulous Berners Tavern, for example, the decadent six-course menu includes a selection of canapés such as crispy chicken skin and avocado tartare, inventive starters (think caramelized cauliflower soup topped with braised duck, smoked almonds and pickled raisins) and over-the-top desserts such as flaming Christmas pudding. All this and a glass of wine can be yours for 150 British pounds! For another uber-posh Christmas day feast, head to the Duck and Waffle. From here, you can tuck into a six-course meal while staring out at the city from more than 20 stories high. 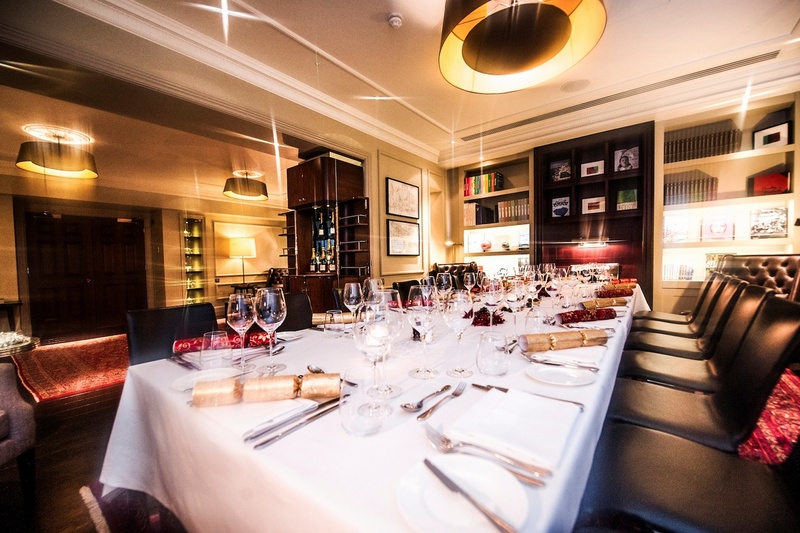 Back on the ground, at Hunter 486—located inside the boutique Arch Hotel near Marble Arch—a four-course Christmas day menu can be enjoyed at the relatively affordable 75 British pounds per person. With so many mouth-watering options, it’s a good thing that the tube doesn’t run on Christmas. Post meal, after celebrating with food and drink galore, a 5 kilometer walk from Tower Bridge to Buckingham Palace in the nipping cold is going to sound like a mighty fine idea. Melissa Karlin is a writer, photographer and professional social butterfly based in Los Angeles, California. When she’s not traveling the world, she will most likely be watching TV, doing yoga and talking about the next place she wants to explore. Follow her misadventures @meli64. Selfridges, also known as Selfridge & Co., is a chain of high end department stores in the United Kingdom. It was founded by Harry Gordon Selfridge. 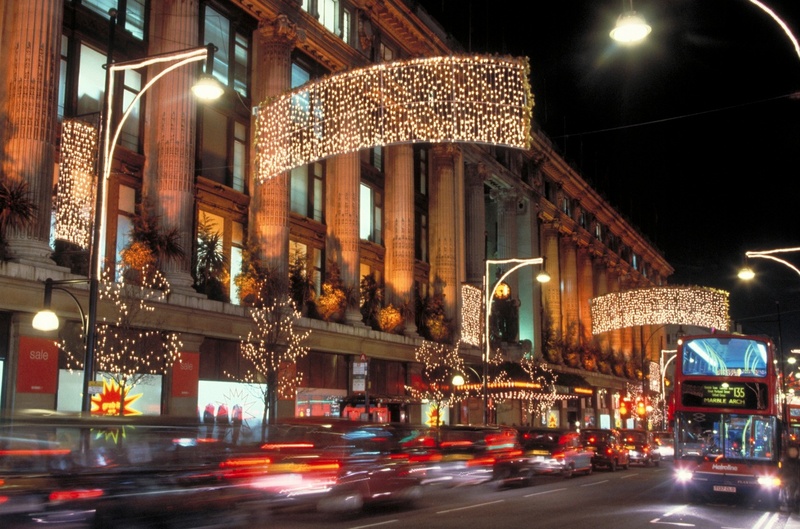 Regent Street is one of the major shopping streets in the West End of London, well known to tourists and locals alike and famous for its Christmas illuminations. Visitors can tour the palace's opulent private and state rooms or watch the changing of the guard. Panoramic views from high level walkways and behind-the-scenes access to original lifting machinery. Marble Arch is a 19th-century white marble faced triumphal arch and London landmark, faced in white marble, designed as a state entrance to Buckingham Palace but relocated. St Christopher's Place in London, home to great shops, fashion boutiques and restaurants near Oxford Street, London. With over 100 spectacular rides & attractions, Christmas Markets, a wealth of themed bars, cafes, restaurants and street food, plus free live music, we'll keep you festive from 10am to 10pm. Open every day until 3rd January (except Christmas Day). Elegant contemporary rooms in chic boutique hotel, plus a glam champagne lounge and luxury library. Theatres, concert halls and a cutting edge art gallery presenting over 1200 events each year. 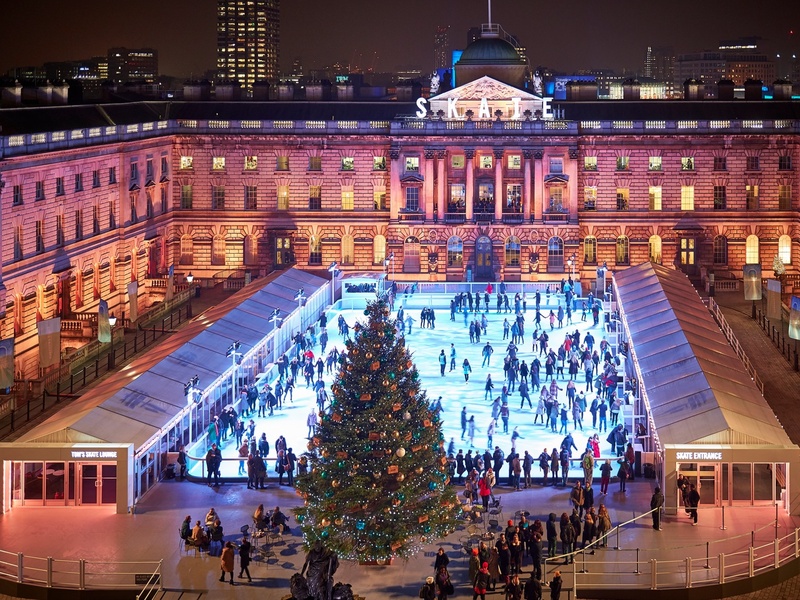 Neoclassical riverside palace hosting courtyard events, a winter ice rink and the Courtauld Gallery. Carnaby Street is a pedestrianised shopping street in the City of Westminster, central London, located in the Soho district, near Oxford Street and Regent Street. Oxford Street is a major road in the City of Westminster in the West End of London. It is Europe's busiest shopping street, with around half a million daily visitors, and as of 2012 had approximately 300 shops. 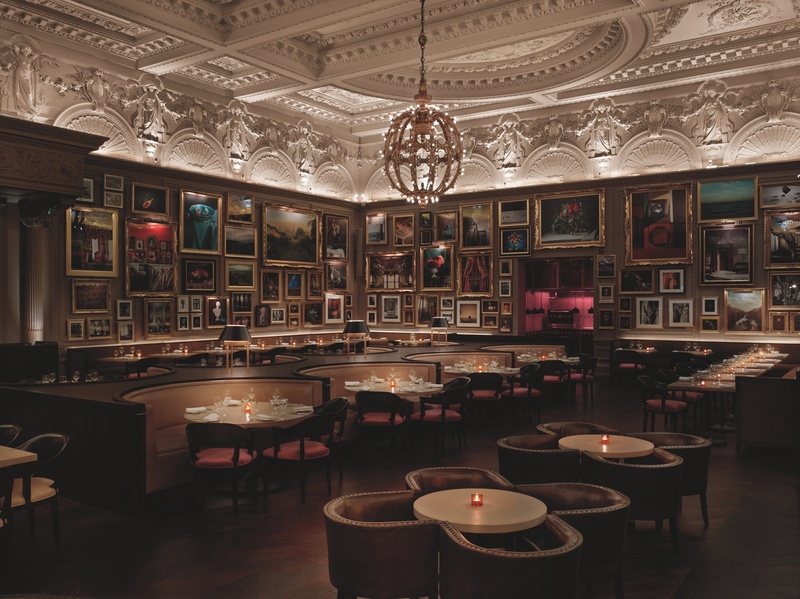 Jason Atherton's upmarket Modern British restaurant in Ian Schrager's London Edition Hotel. House of Fraser is a British department store group with over 60 stores across the United Kingdom and Ireland. It was established in Glasgow, Scotland in 1849 as Arthur and Fraser. By 1891, it was known as Fraser & Sons. British and European cuisine served 24/7 in modern, 40th-floor space with floor-to-ceiling windows. 18th-century department store known for its gourmet groceries including tea and posh preserves. A vibrant and charming market in the heart of London in the grounds of St James’s Church, Piccadilly is dedicated to selling an eclectic and unique range of food, arts, crafts, antiques, collectables, complementary therapy goods, cosmetics and clothing from around the world. St. James's Church was designed by Sir Christopher Wren and opened in 1684. Piccadilly Market is held in the church's courtyard from Monday to Saturday, selling a diverse range of gifts, and other treasures. Department store chain selling own-brand and international fashion, beauty and homeware products.